Today, I visited “Tentake” which was famous for “Kakiagedon (mixed tempura bowl)”.It is located around 7 minute walk from Asakusa station. 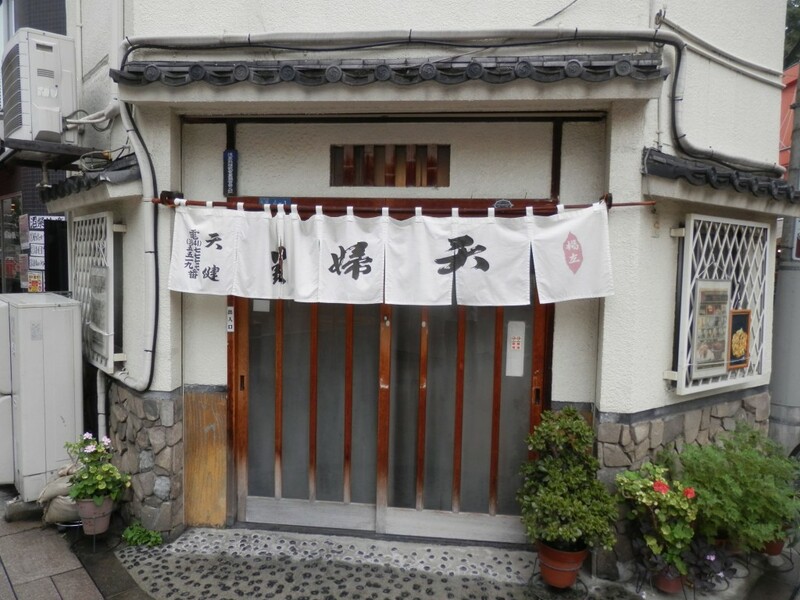 It opens at 10:30, so it is convenient for you in case you would like to have an early lunch. I arrived there at 10:40. There was only a group of guests and I could enter the restaurant smoothly. I sat at the counter and ordered Kakiagedon (￥2,200). The dish came in about 5 minutes. Look at that! Full impact! 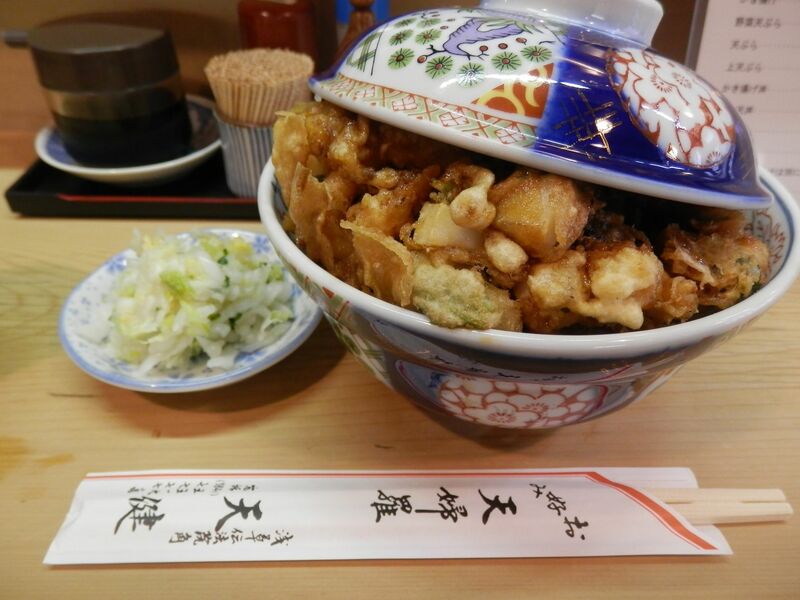 Kakiage was too big and thick to stay inside a bowl. Delicious!! It was not easy to reach rice because Kakiage was too big and thick with fresh shrimp and a large quantity of cuttlefish. Dip had strong taste and was sweet and salty. It was just Edo(Tokyo) style! Batter was dampish with dip but not at all heavy. Probably good oil was used. That was why it was not difficult to finish such a big one. 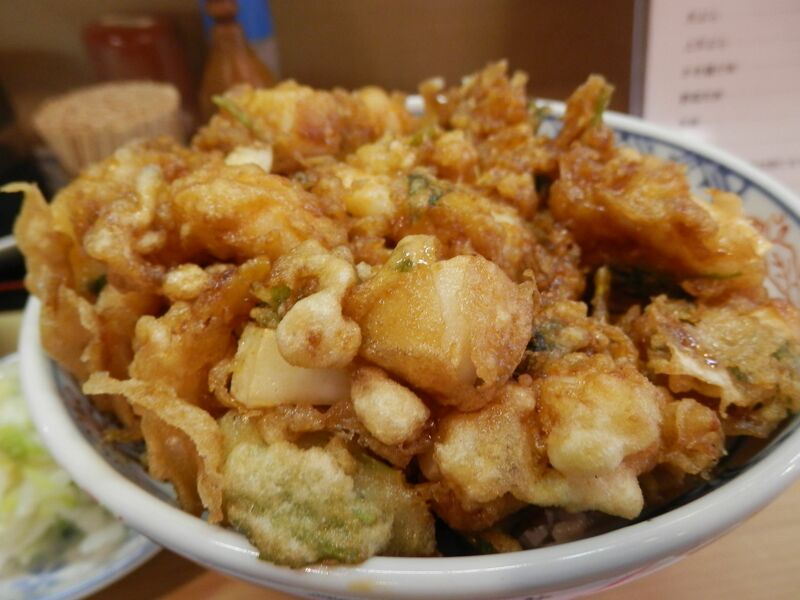 This is recommendable to the one who likes Kakiage (especially cuttlefish tempura). Why don’t you try one?